However, I’m not as keen on GW as a company these days. I’ve personally found some of the employees of GW to be pushy, unpleasant, and of an aggressive opinion that GW can do no wrong. Everyone makes mistakes, so that tends to wind me up! Suing authors for using the term “space marine”, a term that predates GW by a significant margin is not exactly great work, for example. With that in mind, I thought I’d take a look at alternatives to GW models for various forces in the 40K universe. These are just my opinions as to what you could use the models for, rather than what they are being sold as – you may disagree, or feel they’d be better as something else. I’ve never found much in the way of alternative Chaos Space Marines. It’s a very iconic look, which doesn’t lend itself to alternatives terribly well! However, Evilcraft do a fantastic set of Chaos looking troops in power armour with bolt pistols and bolter style weaponry. Very cool, and ornate enough to be used as chosen if you just wanted some specialist models. Puppets War do quite a good range of conversion bits, much of which is suitably spiky for the forces of Chaos. In terms of straight models, they have a great squad that work work as a Raptor Squad. They also have a reasonable number of troops that are probably better guard proxies, but would make OK cultists. They also have some cracking zombies, for Nurgle plague zombies. On the zombie front, Hasslefree Minis do a great, and cheap, set of zombie plastics. Raging Heroes have a cracking model that could be could as a Nurgle general. 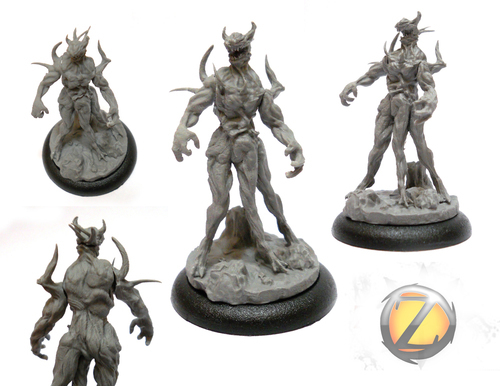 Zealot Miniatures do a model I think would work well as a chaos spawn. Scibor do a small range of Chaos terminator types, which could be could for chaos lords. Raging Heroes do some amazing Preying Mantis models, which would make fantastic Daemonettes. They also do a great demon option for a Daemon Prince or Greater Daemon of Khorne. You could probably get away with the smaller version as a Chaos Lord in a CSM force. Puppets War do some good demons too. I love the thought of fielding Plague Bears instead of Plague bearers! Avatars of War do fantasy models, but that isn’t a problem for Daemons! They do a couple of cracking models that would make amazing Heralds of Khorne and Nurgle. 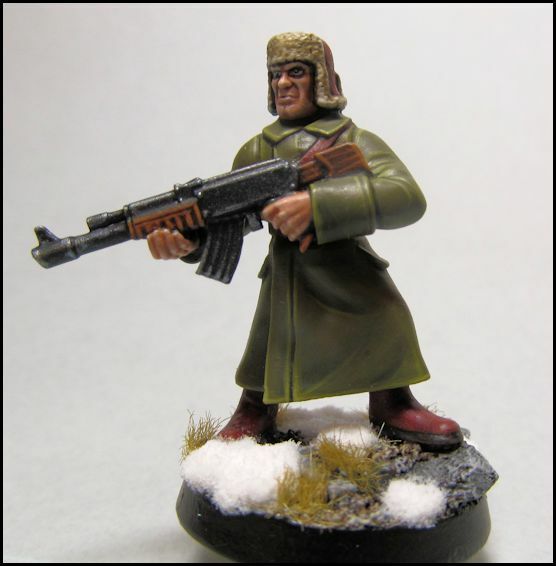 Imperial Guard are the closest thing in the 40K universe to standard human soldiers, and so are probably the easiest army to find decent alternative models for – for the infantry, anyway! Mantic Games have their Corporation Army range, which are perfect guard replacements on the whole. Interestingly, I’ve seen their Veer-myn line os space rats used for very effective chaos guard! Dreamforge Games have a great range of stormtroopers that work well for Tempestus Scions, or maybe as veterans. 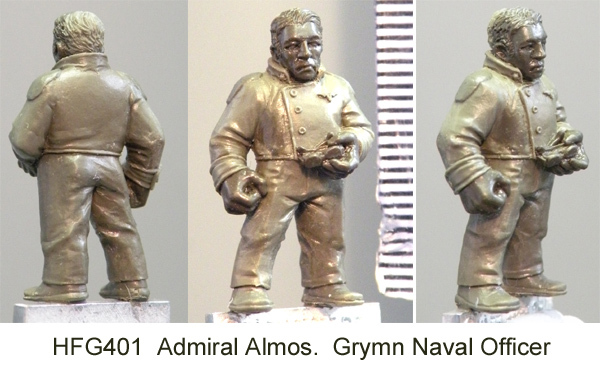 Raging Heroes don’t currently produce many models. but are launching three full female guard army lines, loosely matching Steel Legion, Valhallan and Penal Legion Imperial guard lines. At the moment, they do a small number of female officers which are great as commissars or custom commanders. Victoria miniatures do a tremendous range of guard alternatives, as well as bits for customising any GW troops you may get. If you want a custom regiment, or decent female troops, this is the place to go. Their Arcadian rifles look absolutely cracking models. Puppets War do a few squad options, but I’m not amazing taken by them, to be honest. What I love, though, are their rough rider options, on motorbikes with lances. Its something that has come up in the novels a few times, so it’d be good to see on the table. Scotia Grendel do some interesting lines from the old VASA and Urban Mammoth games, which could easily be adopted for Imperial Guard. Here’s one of their VASA squads, for example. Maxmini do some great catachan alternatives, female alternatives, and a few space ogres for some Ogryn fun. Mad Robot Miniatures have some brilliant conversion parts, but you can get complete guard squads in various looks. Decent Valhallans are always a bonus these days, especially if you have most of an army already! Mantic Games have a line of Enforcers. While quite a different look from the traditional space marines found in GW, the equipment ties up quite nicely. Puppets War have an interesting range of heavy armoured troops that would also do quite nicely, including strike (power) armours, and terminator armour in a range of configurations – even bikes and vehicles. Scibor do some amazing marine style models. Most of them match to more extreme versions of the various Space Marine Legions inspirations – Spartan for the Imperial Fists, Roman for the Ultramarines, Celtic for the Space Wolves, and so on, though there are some more unique ones, like egyptian options too. Hitech Miniatures do some really interesting models, and again, break into groups that match the SM legion inspirations – more extreme than the very similar GW ones. Kabuki Models do a great line of possible Primarch alternatives. Less appealing now Forgeworld are producing official models, they are still gorgeous pieces in their own right. Here is the Castellan Knight. I’ve never really found any good third party Eldar like models in army like levels. That may change when Mantic Games get around to releasing their Asterian line of Space Elves! Chapter House Studios do some great commanders on jet bikes, and also do a unique aspect warrior squad – Warp Stalkers – that looks like it’d run as howling banshees. Raging Heroes are the current queens of the non GW Dark Eldar! Not only do they have a really lovely female archon, succubus, and squads of “blood vestals” which are perfect for Wyches, it looks like they’ll be expanding their line in the future too! Orks are tricky. There aren’t generally huge numbers of space ork alternative models out there, though there are fairly large numbers of passable alternative vehicles. Mantic Games do offer a large line of Marauders which would work well for Orks, both infantry and light vehicles. Raging Heroes do a fabulous sci-fi ork warmaster, which would be amazing as your army warlord! Well, I’ve never found any great models here for ladies in power armour. Heck, its almost impossible to even get them from GW! Having said that, it looks like Raging Heroes are planning on producing some nuns with guns options in the future – look here! There are a couple of options that can be adapted from Privateer Press – Protectorate of Menoth. I really like the Daughters of the Flame as Death Cult assassins as part of an Ecclesiarchy Battle Conclave. Picture from Firestorm Games. There’s only one real alternative to Imperial Knights out there – and that’s DreamForge Games Leviathan! There aren’t huge amounts of Necron alternatives out there either, unfortunately. The best selection I’ve seen is from Puppets War. which has a reasonable range of things, like an enormous cyber spider (scarab) swarm. And a couple of vehicle and canoptek spider options. No basic troops at the moment though. Well, there are a few options for the die-hard squats fan still. The first is Mantic Games, whose Forgefather range is pretty extensive, and just the sort of thing you want from your Space Dwarves! Unfortunately, I’ve never come across anything that really works well for these! There are a lot of Mycetic spores for Tyranids out there – but GW axed them from the codex. Tau is a very unique look – there are some female Tau kits from Zealot Miniatures, but no full squads I’ve come across. Some people have used Robotech type models in place of the crisis and riptide suits, but thats a step further away from the Tau models than I’d go normally. Forgefiend does what Forgefiend Wants! Joining its flying compatriot, a Thousand Sons forge fiend is due to rip the living daylights out of Kipper’s poor forces! Painted for Saint Aidan‘s Thousand Sons by Swiv3d! Well, the Crimson Slaughter codex arrived this morning electronically to the iPad, and my feelings are pretty mixed. What do I like? Well, I absolutely love the integration of the rules and the fluff. They’ve used custom relics with recommended load outs for individual characters, changed possessed (different bonus table and become troops), and provided some absolutely brilliant missions custom to the Chapters history and general mission. From a rules perspective, I’d say this is the best Codex Supplement out there – with the possible exception of Farsight Enclaves, which is pretty amazing. What don’t I like? Fairly obviously, if I like the rules, the faults in the fluff! Its not bad, really – but it just doesn’t feel new. I don’t want to post spoilers here, but for me the main thrust of the Crimson Sabres fall is so close to the Soul Drinkers series that it really doesn’t feel too new. In addition, the rivalry with the Dark Angels just feels really forced. They just found out about a secret kept by Dark Angels for ten millennia, so now the Dark Angels want to wipe them out? Why not just have them start as a chapter of the Unforgiven? That would have made the rivalry feel much closer to home and not as forced – it feels like someone said “we need a rivalry with a famous chapter, roll a d8 …. oh Dark Angels”. It generally just feels a little lazy. People are crying out for legion books, and have a high level of interest in the Red Corsairs. If you want to add to the Chaos forces in 40K, it’d be nice to do something that genuinely feels fresh. One fluff note I do really like though, which is a tiny mention in passing, is the return of the 4th company of the Crimson Sabres to their home world, in an attempt to re-establish the noble chapter. Its not fully clear to me how far down the chaos corruption line the 4th went before they broke away, either? A loyalist chaos marine force? Or a hunted marine chapter? Either is pretty cool. Well, a while ago I picked up a force of Chaos Space Marines painted in Red. The paint job was OK, so I haven’t done a huge amount with them – I had them as my “Retinue of the Ruby Dawn“, and then was considering repainting the shoulder pads – instead of a mix of chaos gods, I was looking at going with “World Eaters“. Now though, especially as I have the models from the current Dark Vengeance set, I think I’m going to field them as the Crimson Slaughter, especially as there is a new Codex due out for them. Adding a helbrute, a unit of chosen and another Chaos Lord should help, and there are a few other options I might look at juggling round – I have a LOT of unassembled chaos forces. Heldrake does what Heldrake wants! Well, it looks like Kipper’s forces are going to get munched by a very slick looking Heldrake! Painted for the forces of Saint Aidan by Swiv3D!